MBIR SA, a 501c3 organization, is pleased to invite the community to sell their items/products at the Essex Street Bazaar. This will be a wonderful opportunity to fellowship as neighbors and connect with the greater San Antonio community. Booth space consists of 1 table and 2 chairs. Electrical booth setups are limited. All booths will be issued first-come, first-serve. Vendors can bring their own tents and canopies. Step 1. Complete and submit the Vendor Application and Liability Waiver. Step 2. Click to pay for your vendor booth space. Vendor check-in and set-up begins 9:30 AM. Vendor booths are to be completely shut-down by 3:00 PM. Vendor application deadline, April 16th. MBIR respectfully reserves the right to deny vendor applications. 4 people maximum per order. Select one option only. Subject to availability. Sale of food, drinks, alcohol, and tobacco products is not permitted. This agreement must be electronically signed and submitted with Vendor Application. ALL VENDORS MUST SIGN THIS WAIVER IN ORDER TO PARTICIPATE: In consideration for being permitted by Masjid Bilal Ibn Ra’bah of San Antonio (MBIR SA) to participate in the above activity, I hereby waive, release, and discharge any and all claims for damages for personal injury, death or property damage which I may have, or which may hereafter accrue to me, as a result of participation in said activity. This release is intended to discharge in advance Masjid Bilal Ibn Ra’bah of San Antonio (MBIR SA) (its officers, employees, volunteers and agents) from any and all liability arising out of or connected in any way with our participation in said activity, even though that liability may arise out of negligence or carelessness on the part of the persons or entities mentioned above. It is understood that this activity involves an element of risk and danger of accidents and knowing those risks, I hereby assume those risks. It is further agreed that this waiver, release and assumption of risk is to be binding on my heirs and assigns. I agree to indemnify and to hold the above person or entities free and harmless from any loss, liability, damage cost, or expense which they may incur as a result of my death or any injury or property damage that I may sustain while participating in said activity. I hereby consent that my organization/group as listed and/or numbered above and its individual members, to participate in the above activity, and I hereby execute the above Agreement, Waiver, and Release on its behalf. I state that I, said organization/group, and its members are physically able to participate in said activity. I hereby agree to indemnify and hold the persons and entities mentioned above free and harmless from any loss liability, damage, cost, or expense, which they may incur as a result of the death or any injury or property damage, that said group may sustain while participating in said activity. I HAVE CAREFULLY READ THIS AGREEMENT, WAIVER, AND RELEASE AND FULLY UNDERSTAND ITS CONTENTS. I AM AWARE THAT THIS IS A RELEASE OF LIABILITY AND A CONTRACT BETWEEN THE ACTIVITY, MYSELF, SAID GROUP and ITS INDIVIDUAL MEMBERS AND I SIGN IT OF MY FREE WILL. 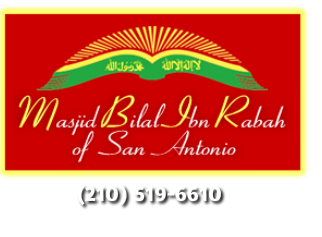 By signing this release, I hereby waive any right to privacy and unconditionally give my permission to allow our name, likeness or photograph to appear in any Masjid Bilal Ibn Ra’bah of San Antonio (MBIR SA) which may include, but would not be limited to brochures, fliers, press releases, newspapers, television or any other electronic media. I am aware that registering myself and/or my organization/group with the Essex Street Bazaar and submitting payment guarantees me or my group a vendor space while quantities last. In the event of unavailability of vendor space, my payment will be refunded to me. I understand that I CAN ONLY SELL THE ITEMS ON THE SUBMITTED FORM. VENDOR SPACES ARE NON-TRANSFERABLE. I understand that checking this box serves as my electronic signature agreeing to the terms of the Vendor Application and Liability Waiver.